Titles include - "Independent Work", "Teacher Assisted Work" and "Adult Assisted Work". 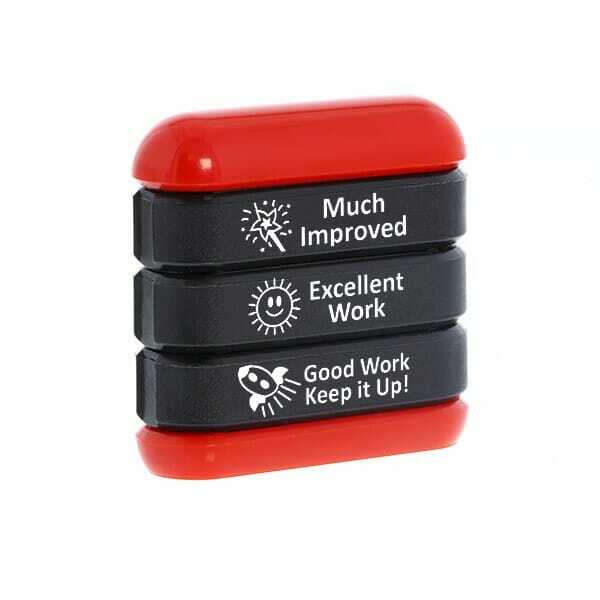 Also offer marking tools, which stimulate and help children to achieve learning targets. Pre-inked, meaning no need for a separate stamp pad. Customer evaluation for "Trodat Stamp Stack - Work 5"